Longleaf pines were the dominant tree species across the Coastal Plain of the southeastern United States for centuries when Europeans arrived on the scene. Native Americans had been present throughout the range, but had no significant impact on the natural environment they found. Within two hundred years of European colonization, the Longleaf pine was virtually extinct. Euroamericans recognized the commercial value of the Longleaf pine, but failed to understand its habitat and environmental needs. The trees were tapped, sapped, and logged and then failed to recover. Alternative species of pines were planted in their place and very few Longleaf remain. Green Meadow Project began as an attempt to establish a small stand of Longleaf pine on our property near Folsom, Louisiana. But, we quickly learned that the Longleaf does not exist in isolation - it is part of a complex ecosystem that was destroyed along with the tree. So, the project expanded into a focus on total habitat restoration. This lofty goal is unrealistic, of course, because the ecosystem in question was lost before it could be cataloged. But, based on studies of remnant habitat, a general picture of the ecosystem has been reconstructed. There are several references in this blog to resources relevant to understanding the ecosystem. Longleaf pine exists in a two-layer environmental structure with the pines as the apex species and a diverse meadow of grasses, forbes and legumes in the understory. In order to understand this ecosystem, one must begin with fire. The Longleaf pine ecosystem is composed entirely of plants that are fire tolerant. This is the key to the balance in the ecosystem that Euroamericans failed to understand. There were other influences on the destruction of this habitat and the Longleaf pine, but elimination of fire was a major factor. So, lets begin at the beginning with an understanding of the critical role of fire in maintaining the natural ecosystem in the coastal plain. Pyrophytes are plants which have adapted to tolerate fire. "Pyrophyte" comes from the ancient Greek "pyros" (fire) and "phytos" (plant). Odd as this may seem, there is an ecosystem of plants that not only tolerate fire, but need it to survive in the competitive environment in which they live. Longleaf pine forests are such ecosystems. The presettlement range of Longleaf pines has been estimated at 37 million hectares, divided roughly into two-thirds Longleaf dominant and one-third mixed forest with other pines and hardwoods. These mixed areas, however, were only mixed in the sense that these species co-existed in the range, not that they were intermingled. Only about 15 percent of this original range exists today. Longleaf pine is one of the most threatened plant species in the world. Longleaf pines evolved in an environment where frequent fire was present. Lighting is presumed to be the cause of fires in presettlement times with estimates of Longleaf pine forests experiencing fire on the average of every 2 to 3 years. Fires typically occurred in the fall and winter when the grasses and other meadow vegetation were dead and dry. Once started, these meadow plants provided a rich fuel source. The grasses burned but the mature trees did not, being protected by heavy bark. Seedlings, not yet protected by bark, would lose their needles, but the tree would survive and quickly replace its needles and continue to grow. Fire in the meadow moves quickly through the forest. Compartment size is related to fire frequency with larger forests more likely to burn more frequently, on the average every 1 to 3 years. Rivers and streams generally define compartments as fire in the meadow would not be large enough to jump most stream beds. In large, contiguous areas, once fire started, it would spread unchecked, burning areas up to 1,000 square miles until the compartment was fully burned. The Longleaf pine and its related ecosystem evolved to withstand fire and in the process used fire to reduce competition of other species that were not pyrophytic. This unusual adaptation made the Longleaf very successful so long as fire remained in the cycle. Native Americans learned the utility of fire in the hunting season and adapted it into their lifestyle. They set fires to drive prey animals toward the hunters and thus continued the natural cycle that supported Longleaf ecosystems. To the extent that Native American farmed, they tilled the soil under the pine canopy after a burn, leaving the trees intact. European settler viewed the pine forests in a very different way. Initially, Longleaf pines were used mainly for naval stores - tar, pitch, rosin and turpentine were all products made from the sap of the trees. Tar and pitch were essential commodities until the development of petroleum-based substitutes. Wagons could not move without tar to grease the axles. Ships could not sail without tar and pitch for waterproofing cordage and sails, for caulking leaks and to prevent destruction by shipworms. Beginning in Virginia and North Carolina, by 1700, naval stores were a prime export. The process of extracting the sap took its toll on the tree and after several years, the weakened tree died and the industry moved on. The decline in the forest was accelerated by advances in technology. In 1714, the water powered sawmill appeared on the scene, first in Louisiana, and board lumber became a valuable product. Transportation remained an obstacle with water being the most viable means of moving goods over long distances. So, the forest was depleted mainly within a mile or so of waterways. Steam replaced water power in 1826 and accelerated the wood harvest. With steam power came the railroad and steam powered logging equipment. Now, there were no geographic limits on access to the trees. The development of the copper still in 1884 allowed for distillation of turpentine on site and further enhanced the decline of the forest. By the end of the Civil War, with the resumption of commercial activities in the south and the removal of previous limitations on harvest, the cataclysmic decline of the Longleaf ecosystem was set in motion. By 1900, Longleaf pines had played out in North Carolina and Virgina and the industry had moved south and west - eventually moving through the entire Longleaf range into Texas. 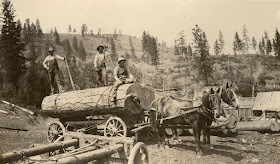 By the late 1800s, over on billion board feet of pine lumber was being cut annually. By the turn of the century, however, it had become apparent that the cut-over forests were not regenerating and the forestry industry became concerned. The cleared land was occupied by scrubby second growth of other species or were simply treeless. The Longleaf simply did not recover from the total deforestation. The spectacular failure of the primeval longleaf pine forest to reproduce itself after exploitation is a milestone event in the natural history of the United States. The emerging picture suggests that the Longleaf ecosystem evolved with fire from its very beginning in the early Devonian Era, some 400 million years ago. Some species, such as Venue flytrap have been shown to require a mean fire frequency of at least 3 years to survive. Venus flytrap is a highly evolved species with a suite of adaptations far too complex to have evolved in the short time since Native Americans appeared on the scene. It is well known that Native Americans routinely used forest fires in their culture, but this human population only extends back 12,000 years or so in North America. The requirement for fire for reproduction in species such as Longleaf pine is more likely millions of years old. This adaptation more likely represents a part of the development of the species rather than an adaptation to fire in recent times. One of the key factors in the failure of Longleaf pine to regenerate is the removal of fire from the environment. Longleaf pine is not simply fire tolerant – it if fire dependent. The species relies on fire to remove competing trees and shrubs from the landscape and for other essential aspects of reproduction. Fire in a Pine Forest - The way nature intended. Some of the land lost to Longleaf pine forest was given over the agriculture. Once cleared, the land was plowed and planted for food crops or grazing. Still, areas where the forest industry expected and desired the forest to regenerate simply failed to do so. Fire suppression in the 20th century was a major factor. Smokey Bear represents an ironically misguided forest policy. By 1900, fire was viewed as the unrelenting enemy of forest regeneration. Foresters at the time believed that if fire was not discontinued, it would mean the final extinction of the Longleaf pine. They could not have been more wrong. Consider this fact – studies as early as 1935 showed only 8 percent fire mortality in 2-year-old Longleaf pine plantations versus 53 percent of 7-year-old loblolly pines. Longleaf pine survives the fire in the meadow while other trees and shrubs do not. The meadow plants, largely grasses, have very deep root systems and while the tops get burned off, the roots readily regenerate in the spring. This fire tolerance gave the Longleaf a competitive advantage. Fire removes dead grass tops and litter on the forest floor and allows seeds of the Longleaf to reach the soil. Fire also restores carbon to the soil increasing its fertility. Once fire was removed, the Longleaf was denied an essential element in its life cycle. But, there is another, odd and more interesting factor in the disappearance of the Longleaf pine. Fire, it turns out, or lack of it, was simply the final straw. 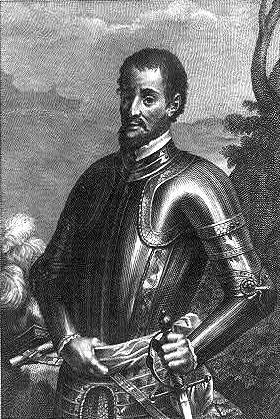 In 1593, Hernando DeSoto made the first introduction of swine to the southern United States. Later, English settlements also brought with them starter livestock. Hogs showed an astounding reproductive potential, and demonstrated an ability to fend entirely for themselves in the woods with no attention from their owners. For the first three centuries of colonization, crops were fenced to protect them from livestock due to shortages of lumber rather than the current practice of fencing livestock. Thus, livestock, including hogs, were simply allowed to roam on the open range. The evidence suggests that open range hogs reached their saturation density within a few decades after settlement. North Carolina governor Barrington reported in 1733 that about 50,000 hogs were driven annually to the Norfolk market from the Albemarle region of the state. At the time of the Civil War, the hog density averaged 14,800 per county in North Carolina, or about 4.3 hectares per hog. Unlike other pines, Longleaf seedlings have a non-resinous, carbohydrate rich meristem, which, while in the grass stage, is vulnerable to grazing for 5 to 7 years or more. Hogs have been observed to feed heavily on Longleaf seedlings, consuming up to 400 each in a day. By the 1920s, foresters were examining the hog problem. They observed that the hogs largely ignored small first year seedlings but focused on those large enough to have accumulated starchy root content. The favored trees had roots in the 1.5 to 5 centimeter diameter range. Hogs were observed to root up pine seeding at the astonishing rate of 6 per minute. With 10,000 to 40,000 hogs on open range in every county in the Longleaf pine region, all that would be required to eliminate reproduction would be for a drove of hogs to happen upon a regenerating plot once every 3 or 4 years. A study of the nutritional value of Longleaf pine seedlings done in 1954 found that they were as nutritious as corn. Little wonder that hogs were drawn to the Longleaf pine seedlings. Open range restrictions, or fence laws, came into place around 1800. In the meantime, modern fire laws and state apparatus for fire suppression did not come into being in the South until the period of 1910 – 1930. This left a window of about 50 years in which Longleaf pine had an opportunity to reproduce in its natural environment. Many of the stands that did regenerate in this period were once again been logged out and the oldest natural stands that remain today date to this period. The result is that Longleaf pine has been extirpated from all but about 2.2 percent or its original range. Of that million or so hectares, only about 19 percent is currently being managed by fire. Fire suppressed stands are typically invaded by hardwoods, loblolly pines, sweetgum or slash pines. Instead of the two-layered structure of natural Longleaf pine communities, fire suppression produces heavy shrub and mid-story layers. The resulting shade and deep pine needle litter and duff accumulations eliminate the wiregrass and most of the rest of the herb layer on many sites. Only 9 percent of the remnant stands are in their natural condition, meaning that less than 0.2 percent of the original extent of the Longleaf pine ecosystem remains in its natural condition. Green Meadow Project aims to add a couple of hectares to that inventory and maybe to educate a few people along the way. The advantage of doing a project like this in a neighborhood is that people don’t have to travel to a protected forest area to see what the ecosystem should look like – they will drive past it every day on the way to work. Our plan is to begin at the beginning and plant a meadow.